Sunair have just issued their latest timetable which shows that New Plymouth has been dropped as one of their destinations. Sunair continues to offer flights from Hamilton, Rotorua and Tauranga to Gisborne and Napier and also from Tauranga and Whitianga and Great Barrier Island and between Whitianga and Auckland and Great Barrier Island. 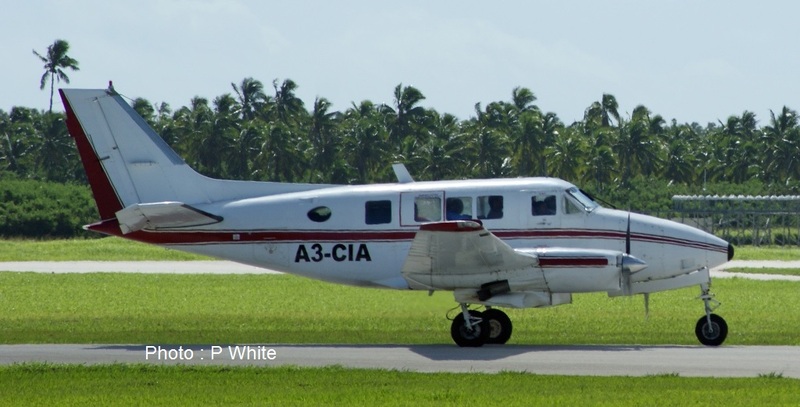 Beech Queen Air A3-CIA arriving into Fua'amotu on 13 January 2014. A3-CIA is ex New Zealand registered ZK-WKA (see http://3rdlevelnz.blogspot.co.nz/2010/06/ex-port-hutt-air-queen-air-for-chathams.html). 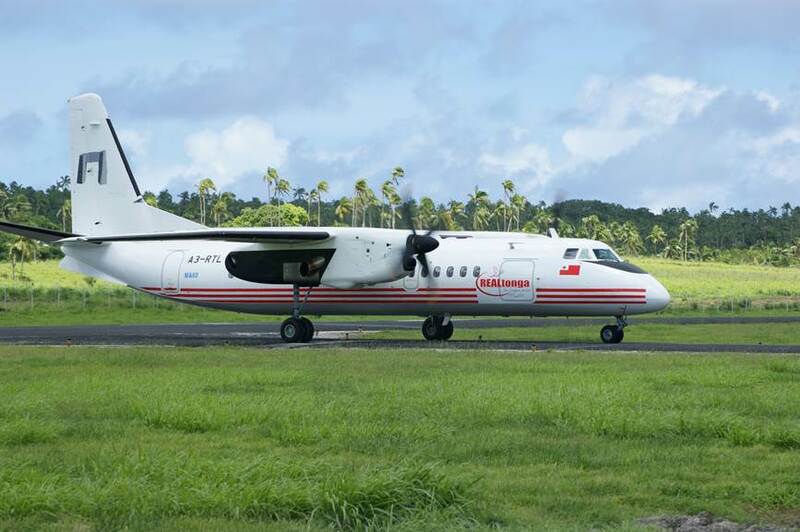 It flew to Tonga in June 2010 for service with Chathams Pacific. Now in service with Real Tonga it has been repainted. 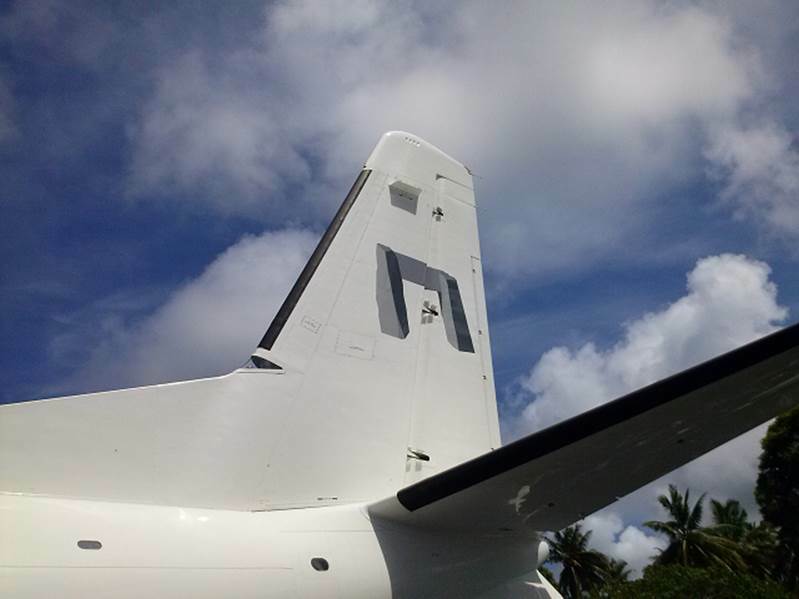 Chathams Pacific's Metroliner ZK-CIC and BN Islander ZK-LYP outside at Fua'amotu while inside the hangar is BN Islander A3-PAS (bought from Samoa Air) and the MA-60 A3-RTL. and Airwork's ZK-LFT. Speaking of out in the sun, Air Chathams, I would love to see the DC-3 parked out for a few days! Hint, hint! 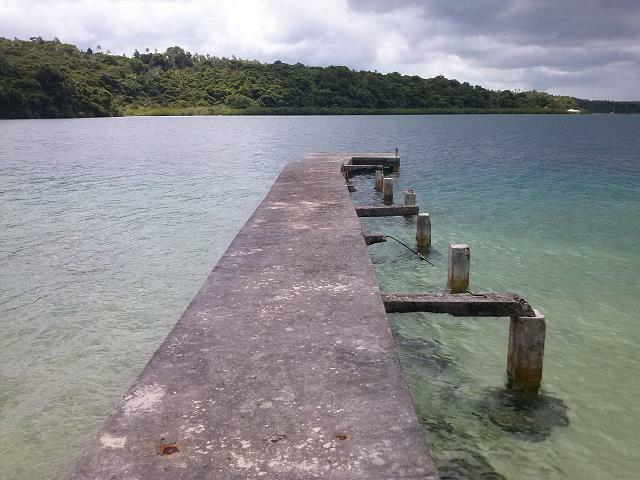 A big THANKS to Peter White for this post on his recent travel on Real Tonga's MA60... I must admit, I am jealous and would love to try it out for myself! 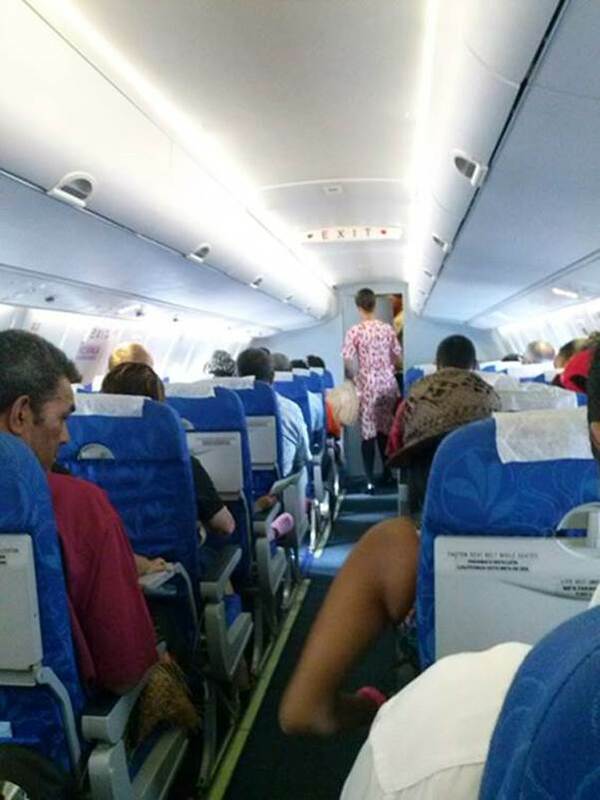 In January 2014 I had the chance of flying return on RealTonga's Xian MA60 from Tongatapu to Vava'u so wanted to take some time to share my experience. The MA60 has had – in my opinion - unfair negative publicity (mainly politically motivated), below is my point of view. I have deliberately withheld from posting this for several months as I think was only fair to wait for the (inaccurate and scaremongering) media coverage of this plane to pass over. Even though I am a born and bred New Zealander, I have for the better part of the last 10 years been a staunch supporter of Tonga and its people, including the MA60 fiasco last year. I am very well-travelled, spending a lot of work and leisure time in Europe, North America, Australia and the pacific including Fiji, Cook Islands and Tonga. Having travelled to Tonga from New Zealand 9 times in the last decade I can assure you that Tonga is a place I would be proud to call home and if people would just lose their prejudices they too would see it is an amazing and hugely untapped country. The gifting of the MA60 should be nothing but good news for the Kingdom. Aside of my love of Tonga I have a strong passion for all things Aviation. I have been involved in aviation and had a pilot’s license for over 12 years. I do not want to make this article about the history of aviation in Tonga, but will concede that Chathams Pacific set the bar high. They are the only Airline in Tonga's history that was profitable (albeit hard work) and left the market without going out of business. 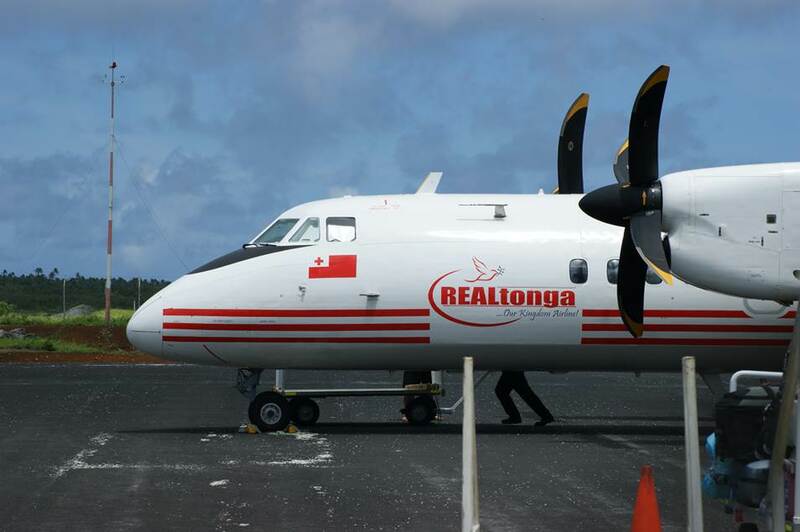 They left Tonga a year ago, forced out some say, when RealTonga, owned by Tevita Palu (Palu Aviation – among other businesses), was started and set to operate the MA60. You are all aware of the media frenzy around the MA60 and RealTonga. I just want to say don’t believe everything you are told. 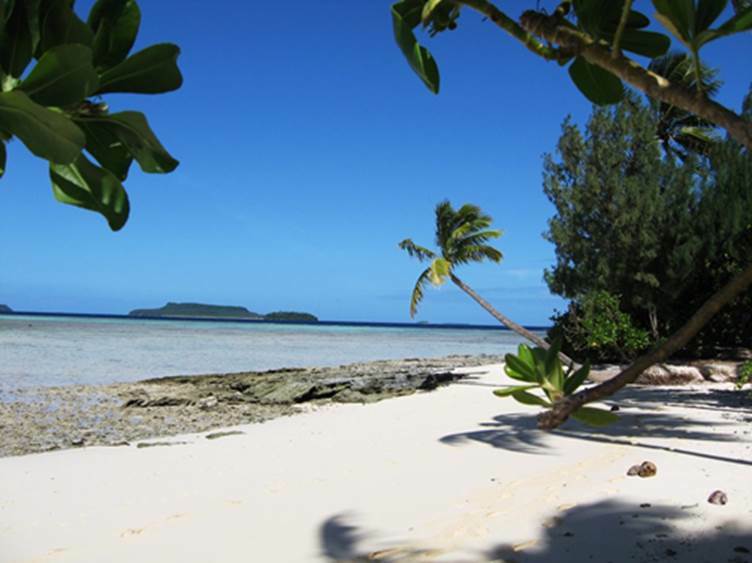 My group of 5 booked in July to travel to Vava'u from Auckland in January 2014. Our Air New Zealand flight was scheduled to arrive at 11:40 on Saturday 4th, so we booked a 14:00 RealTonga flight to Vava'u. Via e-mail in September we learnt that our chances of making our connection to Vava'u looked dashed. 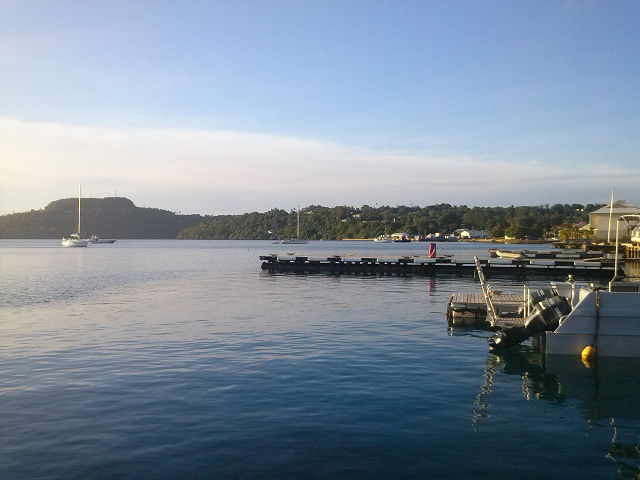 We were told that our departure time to Vava'u had been bought forward to 12 noon. How could we make a 20 min connection! If this happened we would be spending the weekend in Nuku’alofa as this was the last fight for the weekend as airports are closed on Sundays. After some polite and prompt correspondence with RealTonga staff I was advised to not panic and the flights will be rescheduled to meet the international arrivals and they will contact me in due course. Early December I received an e-mail advising our flight time has been moved (back?) to 14:00 Our connection was looking safe! We flew an uneventful Air New Zealand A320 service from Auckland landing on time at Fua'amotu International Airport. The flight was full and the service was excellent. After clearing customs and getting our bags we took at $5 taxi ride to the domestic terminal. With many locals travelling for the holidays the terminal was busy (by Tongan standards) but the staff were efficient and we were served in 10 minutes. Our checked in baggage for the group was overweight by 30KGs. Old memories of Airlines Tonga and offloaded bags came rushing back. I was pleasantly surprised when the check-in agent advised, "that's fine, and it should get up on this flight". So we paid the excess baggage charges and went plane hunting. 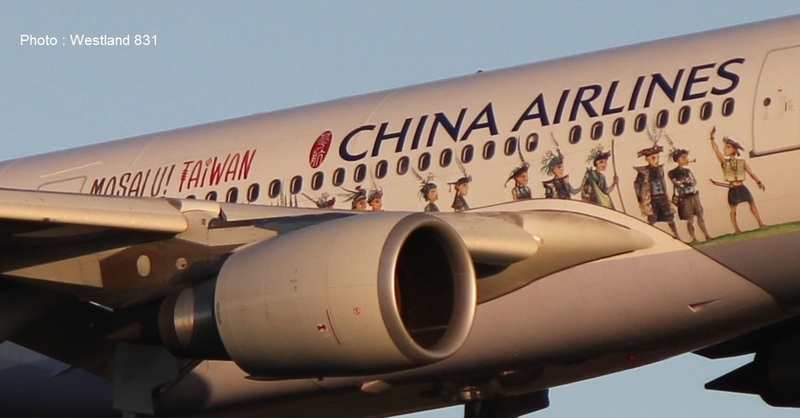 Unlike the international terminal, plane spotting here (for the few that are around) can be awkward. Time raced by and before we knew it we heard our boarding call at 13:40. After talking to the powers to be, I was lucky enough to be allowed to fly “up front” in the observers’ seat! As we boarded the aircraft I was pleased to see even at 6'3" I did not really have to bend down while walking down the aisle. I have to admit that I did have some preconceptions about the aircraft and was very impressed to have these corrected when I saw how modern and spacious the cabin was. 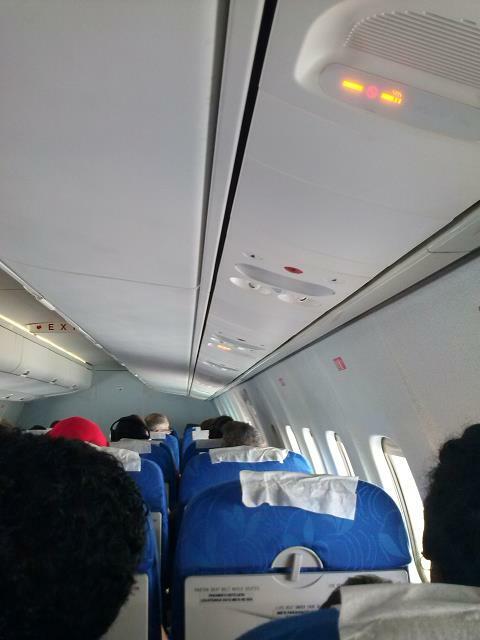 The seating was 2 – 2 and the cabin fit out was well made and robust, reminding me a lot of an ATR-72 or a Q300 in both look and build quality. I was taken to the cockpit where I was introduced to Sam the Captain and Chris, the first officer. I was given an extremely professional and detailed safety briefing and then asked to stay seated until in the cruise. Start-up of the Garrett (American) APU and Pratt & Whitney Canada Turboprop engines was straight forward and the subsequent pre taxi, run-up and pre-take off checks were completed efficiently and by the book. After a few minutes, at 14:10 we were airborne out of runway 11, on route to Vava’u. Once we reached the cruise I was invited to leave my seat and given a detailed overview of the aircraft. Again, this cockpit feels that of any western airliner. Everything was in English. Everything was modern. Everything was serviceable. Someone coming from a similar sized twin would have no problem transitioning to this aircraft. 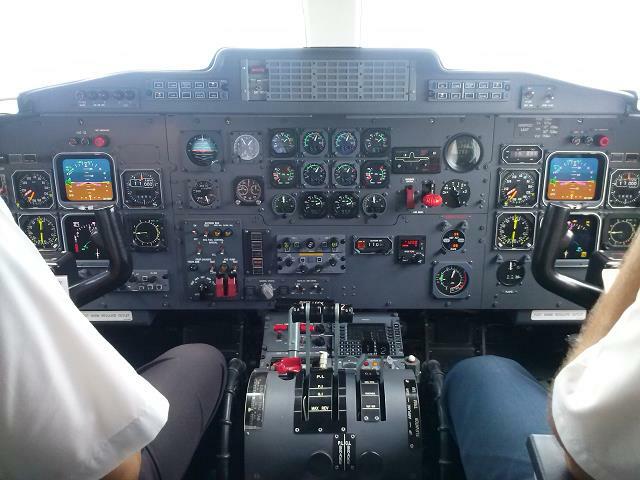 Yes, there is no glass cockpit or EFIS (Which the MA600 does have) but it has reliable, tried and tested (Rockwell)Collins avionics. What else do you need for Island hopping? The aircraft is equipped with weather radar, full auto pilot (excluding auto throttle) and aside from traditional NDB, VOR, DME, Cat II ILS it equipped for RNAV/RNP approaches. Good news when Airports like Vava’u only have non-precision NDB navigation aids. While in the cruise we discussed in depth the training undertaken by all RealTonga crew. It reassuring to know the detail and requirements the instructors put the crew through. We also discussed the “list of rumours” that I had collected from the internet about RealTonga and the MA60. One of my all-time favourite rumours was when the MA60 is going to Vava’u it does not have enough fuel to return to Tongatapu if unable to land in Vava’u due to weather so would need to ditch on the sea. As I suspected (and any sane man would think!) this was a lie. Sam detailed the fuel loading with me. 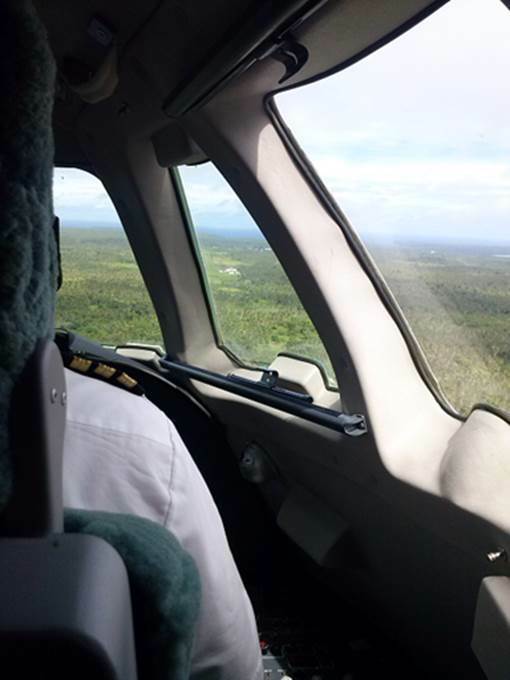 We had enough fuel at the current burn rate for 3 missed approaches in Vava’u then a return flight to Tongatapu still with the reserves left. All the myths and rumours we discussed had similar endings! 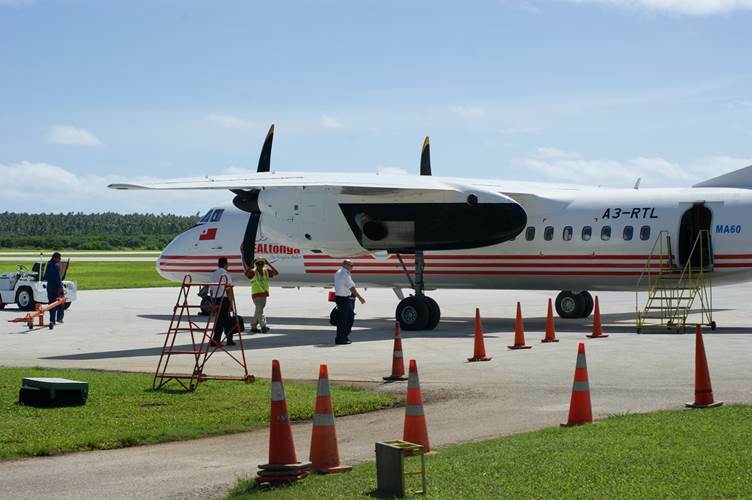 It turns out that Sam has thousands of hours flying aircraft like the ATR and 737 and Sam came down from the Marshall Islands well experienced after flying Dornier’s and other turboprop twins. The flight rocked on by and soon we were at the top of descent, approaching Vava’u. I took my seat again and let the pilots brief for the approach and landing. As we descended through 5000 we went visual for runway 08. Even with a brisk crosswind the approach and roll out was perfect, but the oleos on the landing gear will always (in my opinion) make for a hard landing. Beta/reverse thrust was engaged and we came to a stop in about 700 meters. Well before the displaced threshold of Runway 26 – great STOL performance. After taxi and shutdown we spoke for a while, said my thanks and went and enjoyed my holiday! If you have never been… Go! Vava’u is amazing! Natural and unspoilt is a little know haven! Anyway, Cyclone Ian later, it was time to head back to Tongatapu. Flights had been disrupted in the wake of Cyclone Ian, but when it came to us leaving our flight was only an hour late. This time was I flying “in the back”. Leg room was reasonable, the same space at Air New Zealand’s ATR fleet. 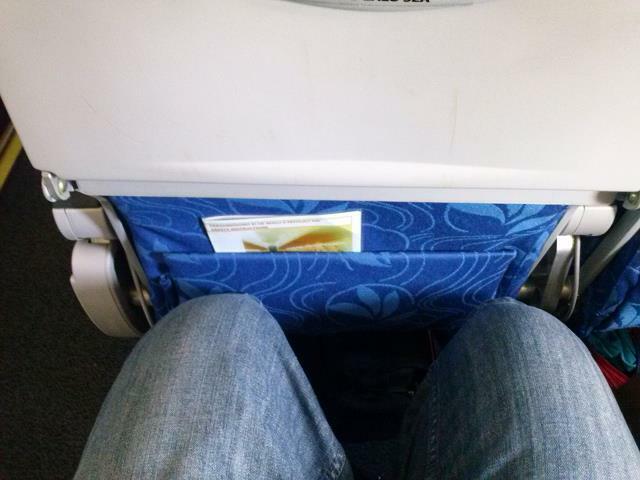 My knees never touched the seat in front of me. 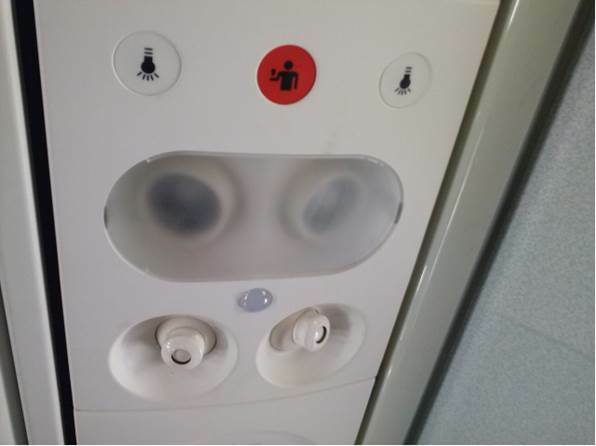 It has all the “mod cons” you would expect and the truth is, if you were not an aviation geek it looks, feels and smells like any normal western airliner. Take off was impressive – even for 100% load factor. Lined up full length runway 08 and would have been airborne in less than 1200 meters (Runway 08 has about 1700 meters usable for take-off). An uneventful 50 minutes later we were on the ground in Tongatapu. A great holiday in Vava’u and a fantastic and positive experience with RealTonga and the MA60. Would I fly RealTonga and the MA60 again? Yes, absolutely. The air crew were nothing short of professional. Their procedures and checks and briefings, not to mention their airmanship was first class. Would I recommend (or let) my family and friends fly on RealTonga and the MA60? Yes. 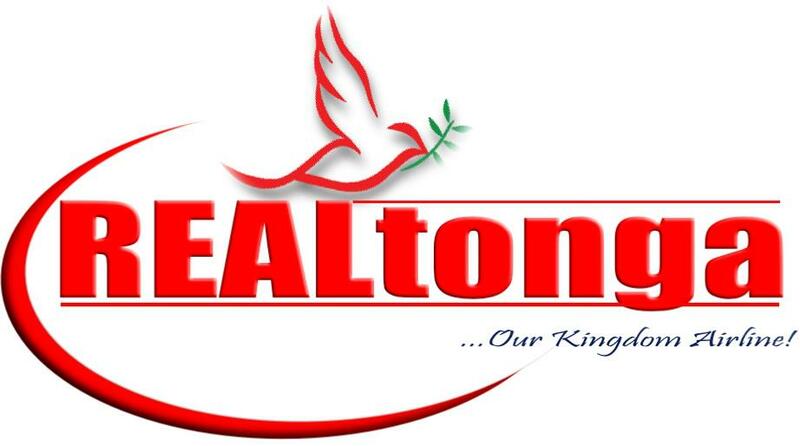 Can RealTonga last as an Airline in Tonga? I hope so. I have nothing but praise for Tevita, Tele and their team. I know not everyone shares my experiences. At the end of the day the locals don’t mind a flight delay, but a tourist does. Keep the operation tight over the holiday season and they can do well. Communication is key. Talk to the customer. Do we need to be afraid of the MA60? Not at all. While the plane is not going win any technology or beauty prizes it is well engineered and all key systems (Instruments, APU, Engines, Prop etc.) are western and the same we find on any normal turbo prop aircraft this size. It is designed to be safe, rugged and practical. This is what it is. But what about the rumours it is not certified in NZ/AUS/UK/USA? It is because there are none in operation there. But why has NZ Issued a travel advisory for Tonga? I don’t know! New Zealand has not issued any travel advisories against any of the other 20 countries which fly the MA60. If it was the plane would they not ALL have travel advisories? Ok then, what about its “track record”; I hear that it has an issue with (insert issue here)? If people did some research and did not believe everything that they hear or read you will see that the bulk of the incidents are pilot error. Most of the airlines that have MA60 incidents have had incidents in other aircraft types and some are even banned from European airspace! It is the operator you need to worry about, Not the plane - it is built like a tank! An example of this is LionAir and their 737s. 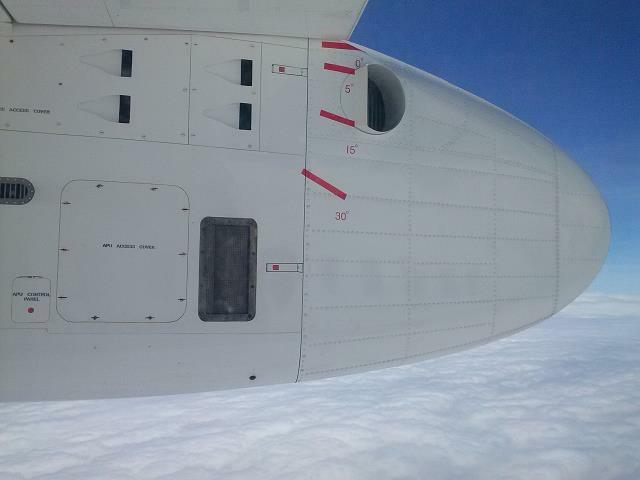 Do we stop flying the 737 because of the unusually high incident rate they have? No. It is not the aircraft. 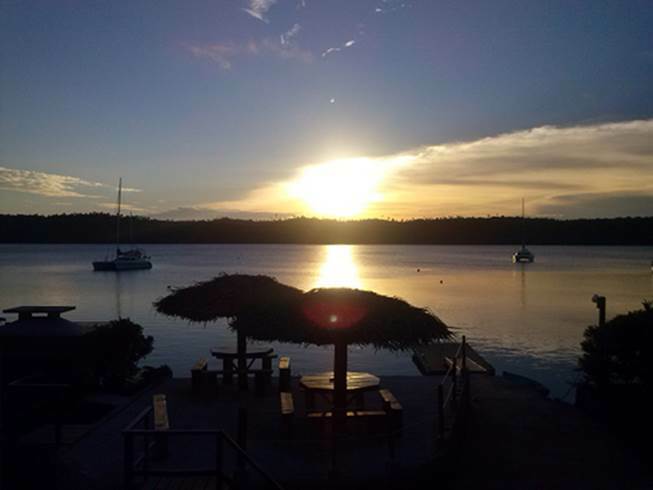 If you want to go to Vava’u. Go. Don’t get the bad press about the plane stop you. If I had the choice of flying on a 40+ year old Convair or Metro or a brand new MA60, give me the latter any day. Remember island time. Things do happen a bit slower in the islands. Relax and enjoy the ride. Thank you to Tele, Sam and Chris for making this all happen! Visiting Nelson today was Danish-registered Dassault Falcon 7X OY-JDE. The aircraft, operated by Air Alsie, arrived into Nelson from Queenstown on 21 March 2014 having arrived in Queenstown from Thailand on 16 March 2014. Jetstar has announced it will suspend its Auckland-Singapore services from the 21st of July, saying the route has not performed as the carrier would have liked and capacity could be 'put to better use on other routes'. All passengers booked beyond the 21st of July will be offered the option of a full refund, bringing their flights forward to travel before direct services end, or transferring to a connecting service via Australia. Sounds Air has made a slight change to its Wanganui - Wellington service this week. The early Saturday morning flight has moved to now return on Friday night at 7:15 p.m. This gives Wanganui passengers much greater options for getting to Wellington for the weekend. The Sunday night flight remains the same going from Wellington to Wanganui at 6 p.m. I hope the Wanganui service is building up Sounds Air! 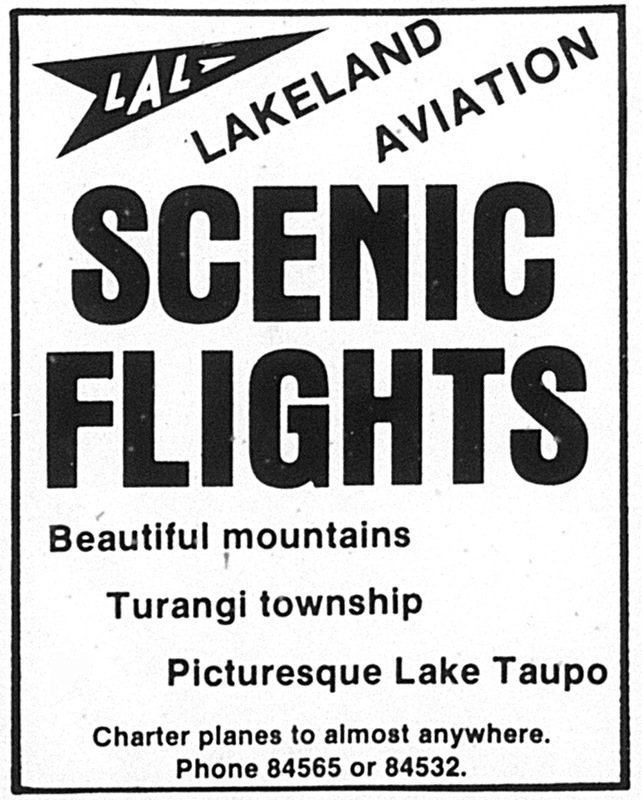 Lakeland Aviation Ltd was a Taupo-based company formed in 1971 by Ron Fincham and three other shareholders. Initially the company focussed on training and charter work. Licences in the early year confined much of the charter work to Turangi with lesser operations from Taupo but gradually the Taupo licence restrictions were removed. A particular focus for the company was flying hunters into the airstrips of the Kaimanawa Ranges. 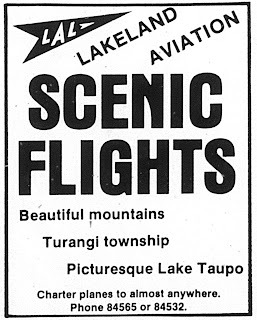 This focus was enhanced with the involvement of Ron Connell who had a number of aviation enterprises including South West Helicopters Ltd which did deer hunting and recovery from bases at Taupo and Fox Glacier and Ron became one of Lakeland Aviation’s shareholders. 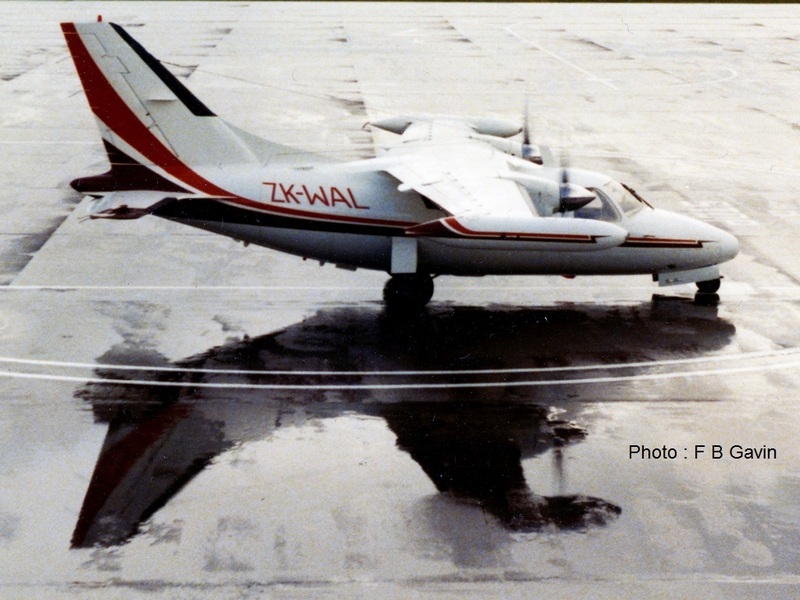 By the late 1970s Lakeland Aviation was also operating its first twin-engined aircraft, Partenavia P68B ZK-LAL (c/n 70). Ron Connell’s interest in the company grew and he eventually took it over. At the same time he had diversified into aircraft and helicopter sales. In 1980 he imported New Zealand’s first Mitsubishi Mu2 for Wairarapa Airlines. It was planned to use the Mitsubishi Mu2B, aptly registered ZK-WAL (c/n 037), on services from Masterton to Auckland and Christchurch and to use Partenavia P68B ZK-LAL, which Lakeland had sold, as a backup aircraft. Delays were experienced getting the Mitsubishi ready for service and it eventually transpired that the aircraft was unsuitable for operation from Masterton’s Hood Aerodrome and so it was never used on this service. 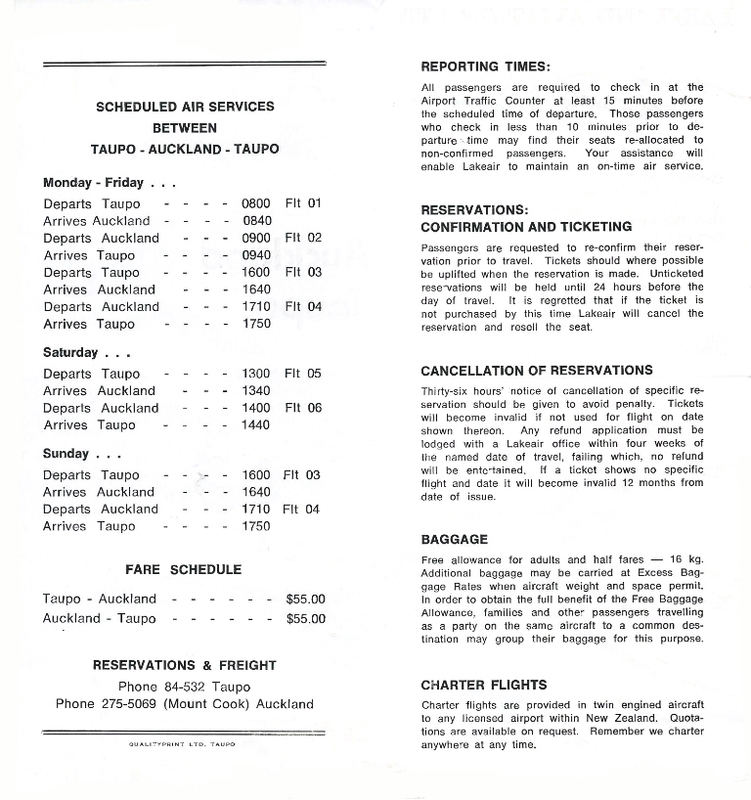 In 1980 it was widely anticipated Air New Zealand would relinquish a number of its unprofitable provincial services. With this in mind Connell imported a larger 10-seat Mitsubishi Mu2B-30 model (or Mitsubishi Mu2G as they were commonly known) to New Zealand in November 1980. Registered N671MA, this aircraft was demonstrated to a number of operators including Hokitika’s Westland Flying Services in December 1980. The aircraft later was registered as ZK-EKZ. Another Mitsubishi Mu2G, N88BC arrived in March 1981. This was to become ZK-EON. For sale - two Mitsubishi Mu2Gs still in their US registrations... Above, N671MA (which became ZK-EKZ) at Hokitika in December 1980 and below, N88BC (which became ZK-EON) at Christchurch in April 1981. 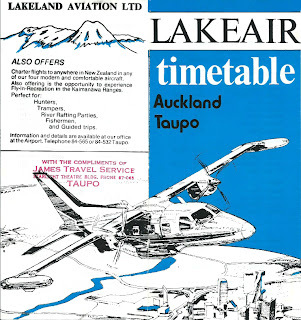 The Mitsubishis, however, did not attract any sales and so in March 1981 Lakeland Aviation Ltd successfully applied to the Air Services Licensing Authority to operate a scheduled Taupo-Auckland-Taupo service using a Mitsubishi Mu2B-30 (Mu2G) to be operated under the name of Lakeair. 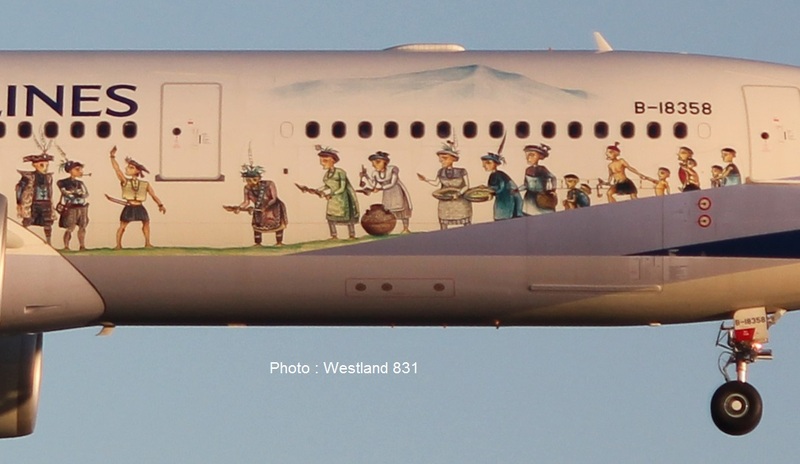 Air New Zealand did not object to the granting of the licence. One provision was that the nine-seat twin engine plane be granted a certificate of air worthiness. A company spokesman, Mr Daryl Devereaux, told the Taupo Times the certificate was a formality and would be obtained later that month. He said the company hoped to begin offering the service in May. The service commenced on the 4th of May 1981. Return flights between Taupo and Auckland were offered in both the morning and late afternoon, Monday to Friday, with a daily return service being operated on Saturdays and Sundays. Mitsubishis were the mainstay of the operation. Mitsubishi Mu2B ZK-WAL (c/n 037) operated the early services until the G-model Mitsubishi Mu2B-30 N671MA was placed on the New Zealand registered to South West Helicopters Ltd as ZK-EKZ (c/n 519) on the 15th of May 1981. Permission was granted to use South West Helicopters Beech B58 Baron ZK-EJJ (c/n TH-181) as a backup aircraft. In 1981 Air Central’s John Gardiner sold half of his company to Ron Connell’s RCS International (1981) Ltd. This opened the door for Air Central to trial the use of Mitsubishi Mu2G, with ZK-EKZ being operated from July 1981. 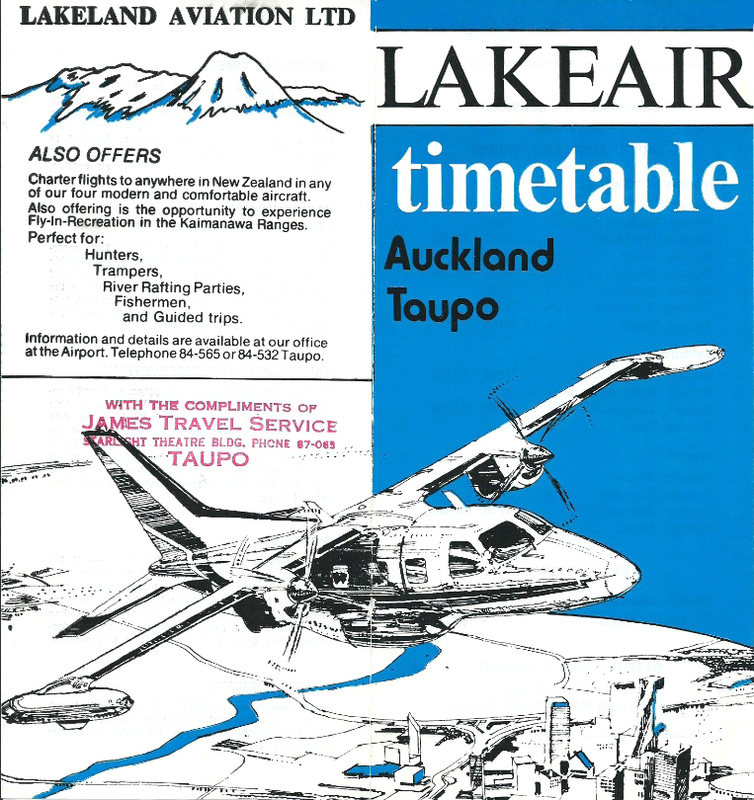 About this time Air New Zealand announced changes to be made in October 1981 to its services between Auckland and Taupo that would have its flights running at the same time as the Lakeair service. By this stage Lakeair was receiving regular patronage. 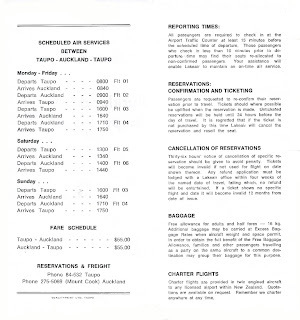 With Air Central’s Mitsubishi trial proving successful the airline operations of Air Central and Lakeair were rationalised in late August 1981 and Air Central took over the Taupo-Auckland service with a twice daily Napier-Taupo-Auckland return service on the 31st of August 1981.